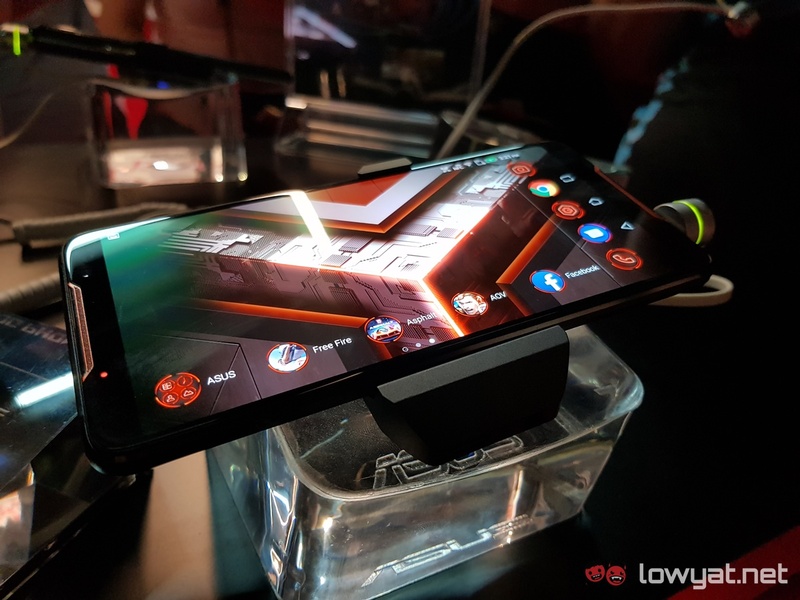 As promised, ASUS has officially launched the ROG Phone in the country. First announced during Computex 2018 earlier this year, the smart device is the brand’s first smartphone designed specifically for mobile gaming. 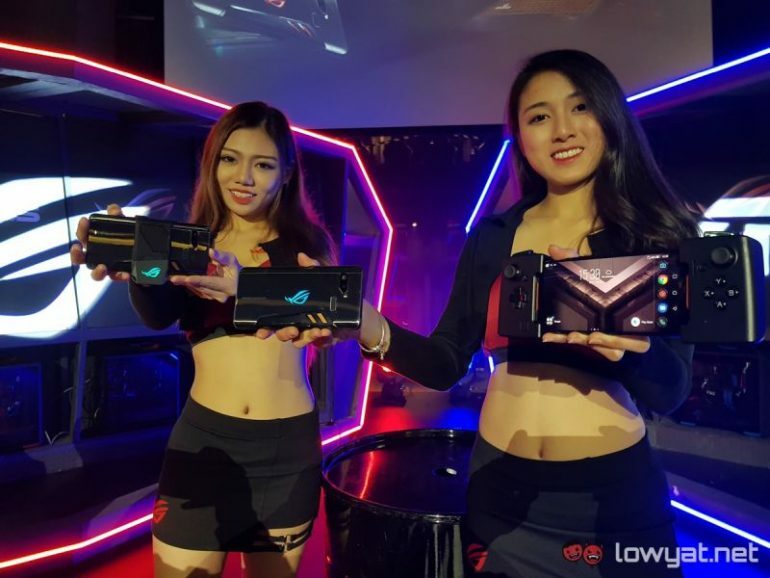 To recap, the ROG Phone comes equipped with a Qualcomm Snapdragon 845 SoC that is overclocked to run at 2.96GHz. It also comes with 8GB RAM, and a choice of 128GB or 512GB of internal storage. The ROG Phone’s display is also worth a mention. It sports a 6-inch 18:9 ratio Full HD+ display that runs on a 90Hz refresh rate, along with a 1ms response time. At the back, you can see the phone’s “Tactical Knife” design that ASUS’ engineers decided to employ. All to ensure that the phone keeps with the brand’s cyberpunk theme for it. Powering it all up is a large 4000mAh battery. The ROG Phone houses a fingerprint sensor and a dual 12MP+8MP main camera array, while the front-facing camera utilises an 8MP sensor. More importantly, the phone uses a 3D Vapour-chamber cooling solution in order to keep the phone running cool, and reducing (if not eliminating) the chances of framerate drops during the gaming session. If that isn’t enough, the phone also comes with a Aero Active attachment to provide further cooling. 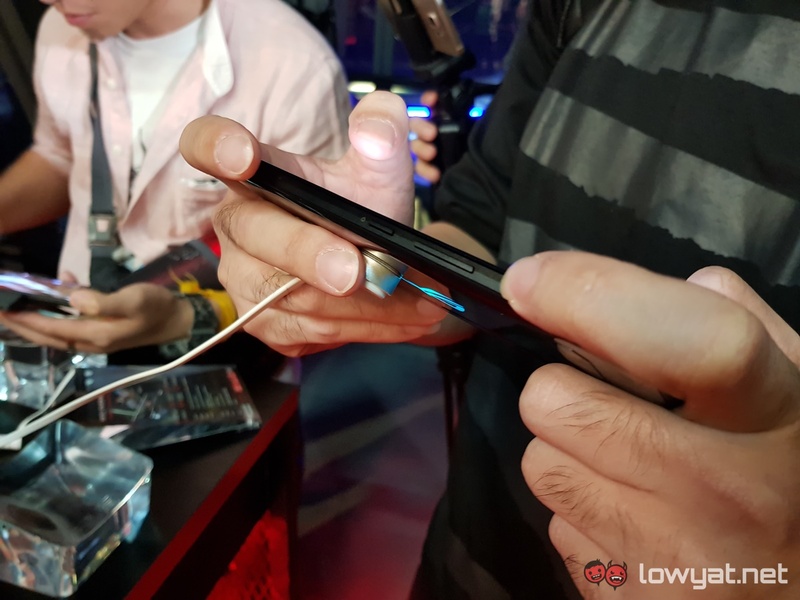 On the subject of gaming, the ROG Phone comes with built-in air triggers that allows gamers to play their favourite shooter title in the same manner as they would with a console controller. This feature effectively takes a load off for gamers, as it allows them to focus on using their thumbs for navigating the battlefield, while allowing their index fingers to pull the proverbial trigger. 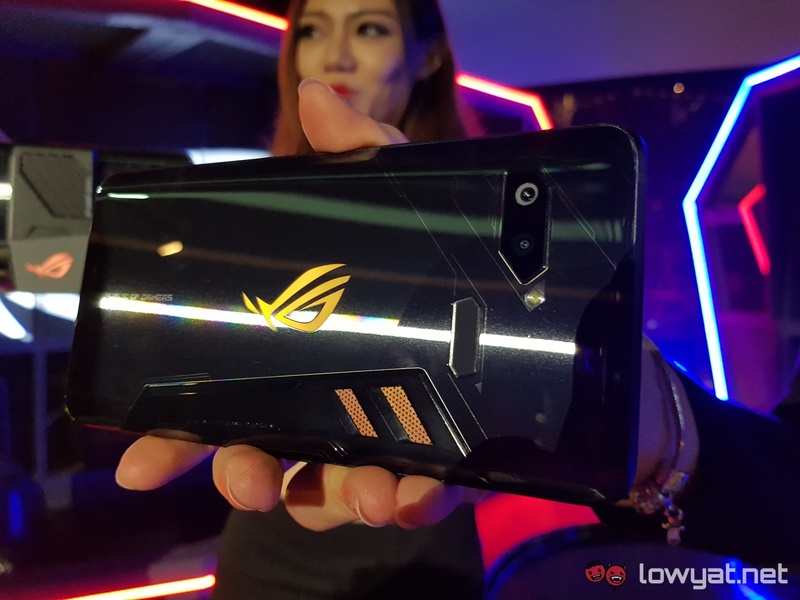 The ASUS ROG Phone will be available for purchase from November onwards. Pre-orders for the phone starts today until 4 November 2018. The phone will be available for purchase via authorised resellers. Along with its official online stores on Lazada and Shopee. The phone is priced at RM3499 for the 128GB model, while those looking to own the variant with the 512GB internal storage will be paying a premium of RM3999.